This week's edition comes from one of my closest online friends, who has also become a great "real life" friend too- Erin of Happy Owl! Erin is one of the most genuine, kind (and hello, beautiful!) people I've met via blogging, and I feel so thankful I did. Whether it's her laughing at me leaving such "teacher-like" voice mails, or me receiving one of her amazingly supportive emails, Erin always manages to leave a smile on my face. And her hubby Mike seems no different. In their photos I always see him being so active with their two incredibly adorable boys, and you can just tell that this family knows how to have a good time. I'm so excited to have Erin here on my blog again, and I'm very thankful that Mike took some time out to share a bit with us, too! So here you go, Erin and Mike's "Papa Said!" Hi everyone! 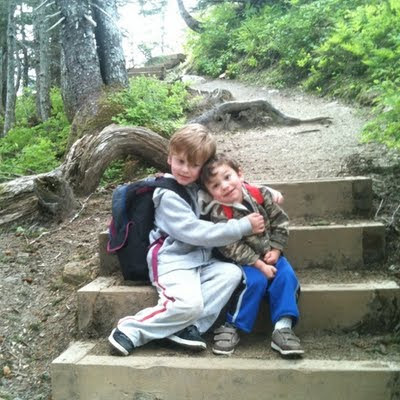 My name is Erin from Happy Owl and I am so excited to talk about my favorite people, my boys! 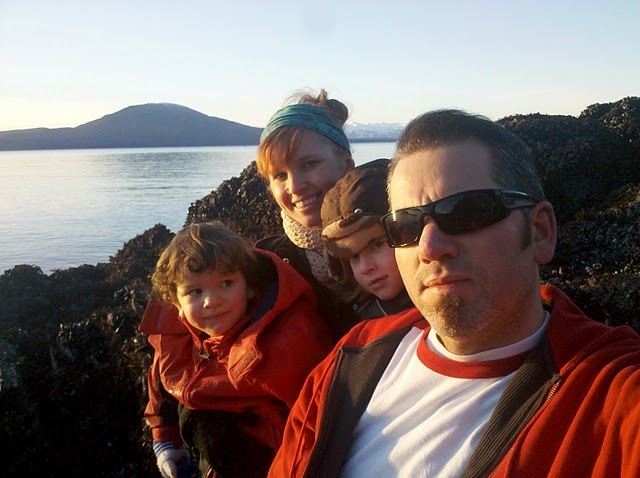 I am married to an amazing man named Mike and we have two fabulous sons, Noah 6 and Logan 2. 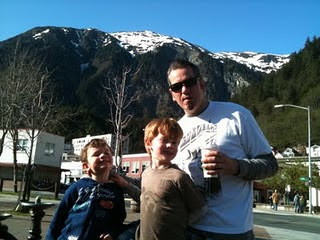 We live in gorgeous Juneau, Alaska which is a perfect place to raise our little dudes. 1. Being raised by a single mother, I never had a dad. So my focus is to make sure my kids never feel the void I did by not having a father. 2. Foster and nourish the relationships with your children and support and develop their individual interests. Noah loves to fish with dad but Logan loves watching float planes all day. 3. It's important to keep in mind kids are a blank slate from birth and our actions have long lasting effects on shaping their lives. I see kids on a daily basis whose lives have been negatively impacted and the common denominator generally starts with issues in the home. Great post this week! I love reading Papa Said and this is one of my favorites! Also I checked out Erin's blog and it is just so lovely I will now follow it! Life in Alaska looks wonderful. Amen Mike! The simple truths. I wish more parents would realize just how true #3 is. I'm saddened each time I see a child in a negative environment and all I can do is pray that they can overcome that obstacle against them! I really like the second one about your children's individual interests. I think too many times kids get lumped together and get stuck doing what the oldest sibling did/does. Well said Mike! Great Tips, especially #3.